This breaking of generational gaps has become somewhat of a habit for the 19 year old. With a rich style evident with influences from classic jazz to electronica, Shpak has made himself a wanted commodity in the music world. This cross-generational quality has launched a career playing with jazz heavy-weights, such as Cedar Walton and Jimmy Heath, soul legends Tower of Power, and young cross-over innovators like Esperanza Spalding and Christian Scott. 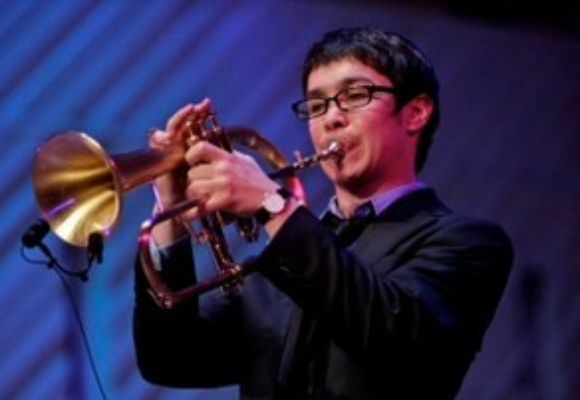 Among his numerous awards and accolades are being named the 2012 Yamaha Young Performing Artists jazz trumpet winner, the 2012 NFAA YoungArts jazz trumpet winner, one of 3 finalists in the 2012 International Trumpet Guild Jazz Competition, one of 4 trumpet finalists for the 2012 Monk Institute.